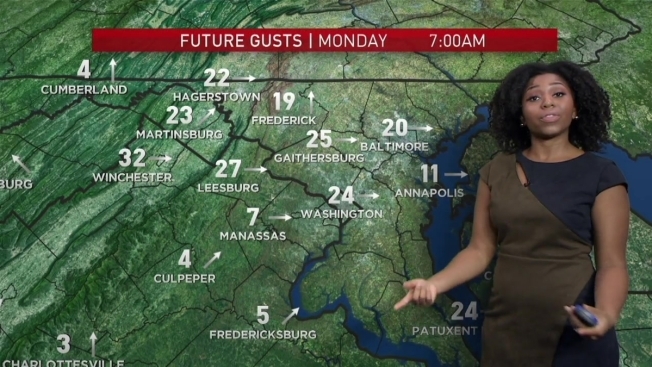 Flood warnings remain in effect for much of the D.C. region Sunday evening as the area continues to try to dry out from the weekend's downpour. Parts of Culpeper, Fairfax, Fauquier, Frederick, Loudoun, Montgomery, Prince George's, Prince William counties and nearby cities are under a flood warning. Some areas are under the warning until Monday morning. A full list of weather alerts is here. 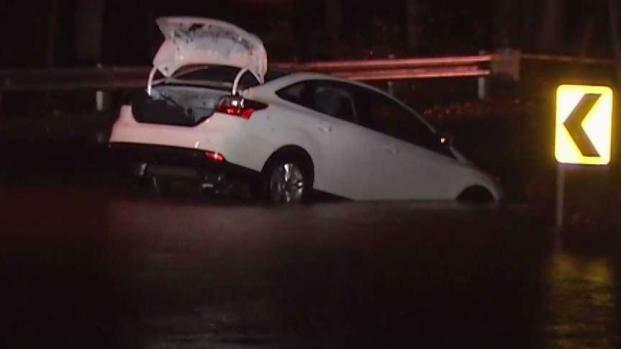 Driving in parts of the D.C. area became so dangerous due to the flooding that some people had to be rescued from their cars. News4's Darcy Spencer reports. By Sunday night, 3.44 inches of rain had fallen in D.C. since Friday evening, Storm Team4 said. Runoff from the rainfall is causing creeks and streams to rise and could lead to flooding in urban areas, the National Weather Service said. The Billy Goat Trail near the C&O Canal was closed to hikers due to rapidly rising water levels. Authorities in Fairfax County, Virginia, and Montgomery County, Maryland, said multiple roads were closed due to flooding and they were responding to water rescues. Rescuers in Howard County even lead a llama out of a flooded pasture. Boat crews in Montgomery County rescued six people from two stranded vehicles on Brighton Dam Road, fire department spokesperson Pete Piringer said on Twitter. Photos showed one man carrying a child as rescuers helped them escape safely. Fairfax County Fire and Rescue said it responded to at least four water rescues in the following areas: Chapel Rd. at Cold Point Rd. in Clifton, Woodburn Rd. and Robey Ave. in Annandale, Fairfax Station Rd. at Moonpatterns Trail in Fairfax Station and Old Courthouse Rd. at Besley Rd. in Tysons Corner. Drivers should take caution and never drive through a flooded roadway. A wet start to the weekend pushed 2018 to break the record for the wettest year. On Saturday afternoon, the National Weather Service had reported that a total of 62.74 inches of rain had fallen this year at Reagan National Airport, beating the old record of 61.33 inches total in 1889.